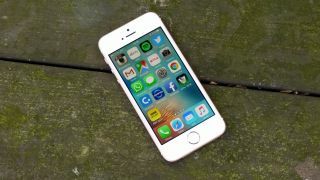 The iPhone SE was a pleasant surprise for Apple fans looking for big power without the large form factor (and price) of flagship iPhones, but there's been a big question mark since the phone's release whether Apple would revisit its lower-priced line. Thankfully, it looks as though like Apple is planning to launch an upgraded iPhone SE 2 by the first quarter of 2018, according to a report today from Focus Taiwan, citing local sources speaking to CNA. The iPhone SE 2 will be manufactured in India by a company called Wistron, the sources said, which backs up an August 1 report by Tekz24. Wistron is reportedly in the process of growing its production base in the country in preparation for the next-gen iPhone SE. Of note is that Wistron will apparently begin shipping the iPhone SE 2 in India first before making the phone available elsewhere. As for the iPhone SE 2's specs, Tekz24 suggests the handset will run iOS 11 (no surprise there) and have a quad-core A10 processor. The current iPhone SE features an A9 chip also used in the iPhone 6S. With an A10 chip, the new iPhone SE would be on par with the current-gen iPhone 7 in terms of processing power. Storage-wise, the iPhone SE 2 is said to come in either 32GB and 128GB options, matching Apple's last upgrade to the iPhone SE when it doubled the storage capacity for the same price earlier this year. Other rumored features include a 12MP rear camera and 5MP camera on the front. Take the above with a hearty grain of salt as Tekz24 is an untested source of information, but these specifications aren't too much of a stretch. As rumors mount towards the iPhone 8 potentially being quite pricey, Apple would be remiss to not have a more wallet friendly and more pocket-able iPhone on deck. We'll just have to see whether the iPhone SE 2 makes its debut next year or during the iPhone 8's likely September launch.